I’m very excited to be included in Faber Music’s Pianofforte Magazine. 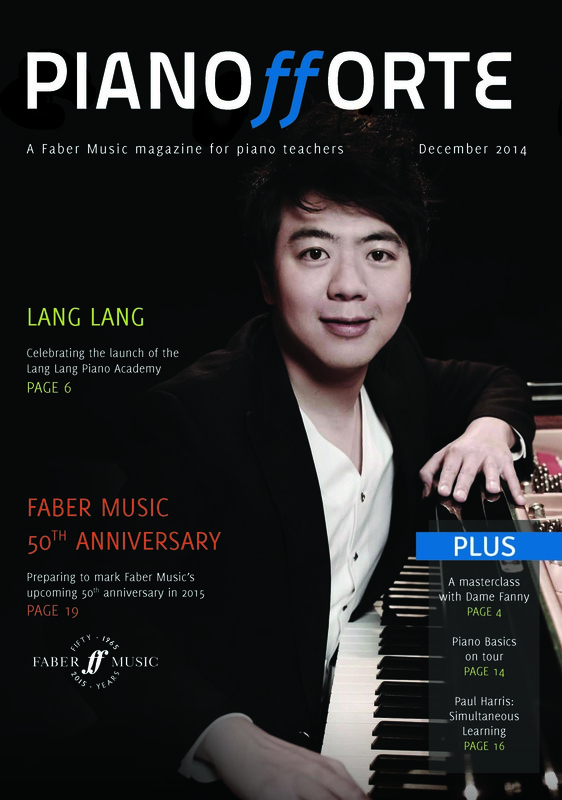 This magazine is designed for piano teachers, students and all those who are interested in music education. It is a yearly publication and offers plenty of information about various books, scores and everything related to piano study. In the magazine, I review Chinese concert pianist Lang Lang’s new series of piano books, mastering the piano, which are graded from 1-5 (on pages 8 & 9 of Pianofforte), I also briefly review Simultaneous Learning: The Definitive Guide (page 3) written by master educator, Paul Harris . You can read the mastering the piano review by clicking on the PDF link below.